Skateboarding World Champion for 12 years in a row. The most recognized action sports figure & brand in the world. Helped build various successful businesses: Birdhouse Skateboards, Hawk Clothing. 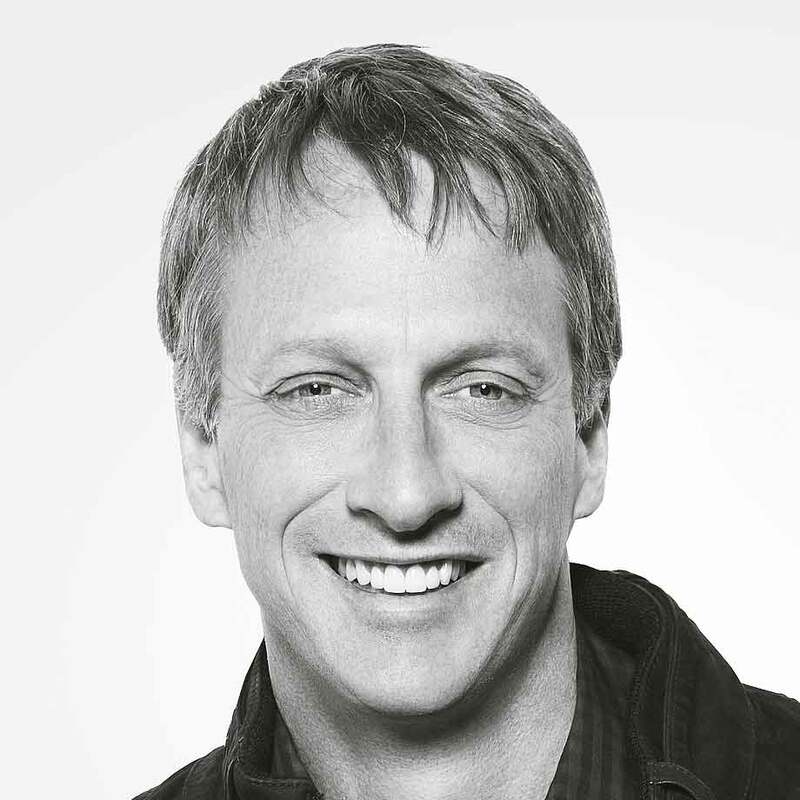 Tony Hawk was nine years old when his brother changed his life by giving him a blue fiberglass Bahne skateboard. By fourteen he’d turned pro, and by sixteen he was widely considered the best skateboarder on earth. World Champion for 12 years in a row, Hawk is the most recognized action sports figure in the world. In 1999, he teamed up with Activision to create the Tony Hawk’s Pro Skater video game. His life would never be the same. Today, his business skills have helped create a Tony Hawk brand that includes a billion-dollar video game franchise, successful businesses such as Birdhouse Skateboards, Hawk Clothing, and the Tony Hawk Signature Series sporting goods and toys. His video game series has surpassed $1.4 billion in sales and the newest version, Tony Hawk’s Pro Skater 5, releases in the Fall of 2015. A savvy marketer with social networking, his fan base numbers in the millions on Facebook, Twitter and Instagram. Tony’s annual Twitter Hunts engage his followers on a global game of hide and seek to find huge packages filled with swag provided by numerous sponsors. Tony Hawk is a role model for fans of all ages. His Tony Hawk Foundation has given away over $5.3 million to 560 skatepark projects throughout the United States. Skateparks that received financial assistance from the Tony Hawk Foundation currently serve over 3-million kids annually.